I was born with a pencil in my hand, or so the story goes! Ever since I can remember drawing has been a vital part of my life. It’s something I have been doing all my life. Drawing was the tool which helped me communicate with others. In 1977 when I stepped off the plane from Santo Domingo, I knew not a word of English and drawing was how I communicated. I was born here in the United States, but was raised in the island of Santo Domingo and did not speak English. My family has stories of me drawing on walls; on the furniture and doodling on my father’s college books. In school, I was constantly in hot water because all I wanted to do was draw. Today, I still draw. I am a Storyboard Artist. My job is to take a script and a story and illustrate it and bring it to life! I meet with the director and try to see what is in his head. A storyboard is similar to a Comic Book, where you have sequential images that tell a story. I love movies and I love to draw so I am very happy doing what I do. For people interested in doing Storyboards, the first thing I would suggest is putting up an easy-to-navigate website that shows your best storyboard work. If you do not have any professional experience yet, just put up any samples that you do have. When a client calls, be honest with them if they ask you what project the sample work is from. If it is not from an actual job, then just say so. Do not let your lack of experience become an issue. Try to promote yourself and find an agent if you can. There are agencies like Storyboards Inc. or Famous Frames that are always looking for new talent. Storyboard agents are not absolutely necessary. It depends on what city you live in. If you are in a smaller market town, you may want to have an agent to see if it works for you. Professional storyboard artists charge $600 per day and higher. It is up to you to know the value of your work. Rates are listed in The Handbook of Pricing and Ethical Guidelines. It is published every year by the Graphic Artists Guild. When a client contacts you about your rates, get all the details you can and be able to tell the client how many frames you are able to do in a day or how long it will take you to complete the project. Negotiating the rate is something that you will have to get a personal feel for, and finally you have to draw well, so whenever you get a chance practice your story boarding skills. There are many books and videos out there full of useful information. Many DVDs also have special features, and of course the web is full of resources and examples. Robert Castillo is a Storyboard Artist who lives in New Jersey and works in New York City. He graduated with honors from The Art Institute of Boston and has a Master’s Degree in Computer Arts from The School of Visual Arts. As a storyboard artist, Robert has created boards for films including Lee Daniel’s “Precious”, the Christopher Reeve’s directed animation Everyone’s Hero, Queen Latifahs “The Cookout” and “Perfect Holiday” and the award-winning cable television programs The Sopranos, and Smash. He has also done music videos for Alicia Keys, Ja Rule, Kid Rock, Lauren Hill and Don Omar; commercials for Phat Farm, Adidas, And 1; as well as promo work and music videos for MTV, Nickelodeon’s Ironman, Fuse, VH1, Court TV and ESPN. His talent has been recognized with various awards and honors, including L. Ron Hubbard’s Illustrators of the Future and The Student Academy Awards in 2004 for his short film S.P.I.C. The Storyboard of My Life which has screened in fourteen festivals including Cannes and The Museum of Modern Art. In 2005, S.P.I.C. had a special screening at TIME Magazine in New York and at Walt Disney Studios. Robert has also lectured on “The Art of Storyboards” at NYU Tisch and Jersey City University. Robert has given back by auctioning his artwork for The John Starks Foundation as well as Project Sunshine. He also volunteers his time with The Ghetto Film School in the Bronx, Mount Sinai Hospital and The Automotive High School of Brooklyn. What advice do you have for beginning sculptors? I learned many years ago about working in clay was that water-based clay is a much more tactile, but loses some of its spontaneity because it needs to be kept wet. Plasticine has an odor that I don’t like, and people will find it doesn’t take thumbprints like water-based clay, but it does not need to be kept wet. And those clays need to be put in a more permanent medium, unless they are hollow without an armature, and can be fired. The other material that is interesting is plaster. It can be slathered over an armature and then chiseled or rasped away. The plaster when done takes very interesting patinas. I use water-based colors for that. What was the biggest challenge in marketing yourself as a sculptor at the start? The biggest challenge in marketing myself early on was finding a gallery. As my work is cast in bronze, which is very expensive, and that made my work expensive. Not many galleries are willing to take on new artists whose work is expensive because the market is not there. Galleries, at least here in New York, have enormous costs and they need to be able to sell their artists. How have you differentiated yourself? My work is different because I do mostly animals. You can tell what they are, whether it’s a horse or cow or bird, but the horse may have four heads and four tails. And my animals are all generic, though you can tell whether my bird is a water bird or a raptor, You don’t know what kind of water bird or raptor. My new work is on glass. Having had multiple hand and wrist injuries, I needed to change my technique as clay was much too difficult. I use a paint on multiple panes to create a 3-D effect that some people find disturbing, so I guess my technique works. I think of my new work as both painting and sculpture. How do you work with glass? 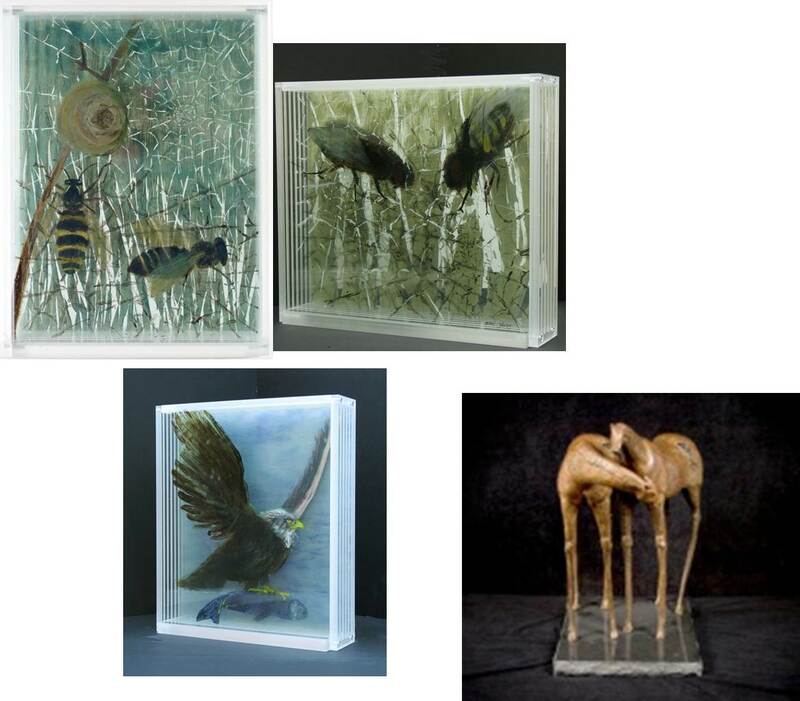 The technique I’ve developed, which is to work with a series (usually six or seven) stacked glass panels that I’ve painted on and sometimes etched, allows me to create dimensionality and to look as though the subject is encased in the glass – in fact, some people have asked how I got the wasp or bird in there. What I’ve actually done is to design, for example with the eagle, so that the front wing is on the first pane and the other wing is on the last pane with body parts in between to make the piece look three-dimensional. It’s challenging because when I make a change on one pane, I have to look at how it impacts all the others, so I’m forever moving the panes around to line them up in a particular way. I use special glass paint, and I also did finally find out that I can get a type of seamed glass, which means that the edges are sanded down and smooth, so now I’m not cutting myself on the ragged edges. Immi Storrs is an award-winning sculptor, whose work is in museums and corporate collections, including The National Museum for Women in the Arts, The National Academy Museum, and The Herbert Johnson Museum at Cornell. She recently completed eleven sculptures for Japan Airlines, and she’s a member of The Century Association and The Sculptors Guild. 1. What drew you to doing Asian Art on rice paper? I enjoy doing Asian Watercolor on rice paper ever since I studied with Frederick Wong, a Japanese teacher at the Arts Students League in New York City and author of Oriental Watercolor Techniques: for Contemporary Painting, who combined the principles of Asian painting with the principles of Western art. The process I learned was the crushed paper technique, a method that inspires one to expand their thought process and be freer with the technique of painting. The method allows the artist to explore all creative possibilities while painting as it develops. Instead of capturing every detail, as in traditional Western water color, I strive to capture the essence. One doesn’t have to employ the use of proper perspective, nor follow certain rules as in Western water color, therefore Asian Art allows a greater form of self-expression, driven by one’s own confidence and experience. I consider myself a colorist, an inborn gift, so therefore, the use of color and its combinations, plays an important role, not only in my works on rice paper, but my oil paintings on canvas as well. My oil paintings are also influenced by the techniques employed in Asian art. 2. Do you put a lot of time into marketing, and where do you concentrate your efforts? I realize the importance of marketing, and therefore have recently expanded my website www.Judithkingsleyart.com. However, I need to plan to spend more time on marketing, which involves a great deal of promotion. It is difficult to find the balance between painting and marketing, as both are important. My manner of producing an original painting takes an excessive amount of time, as there is no pre planning, and my work progresses as I go along. In other words, my painting involves a considerable amount of exploration and experimentation, which sometimes can be frustrating, yet very gratifying when I feel that it is finally complete. 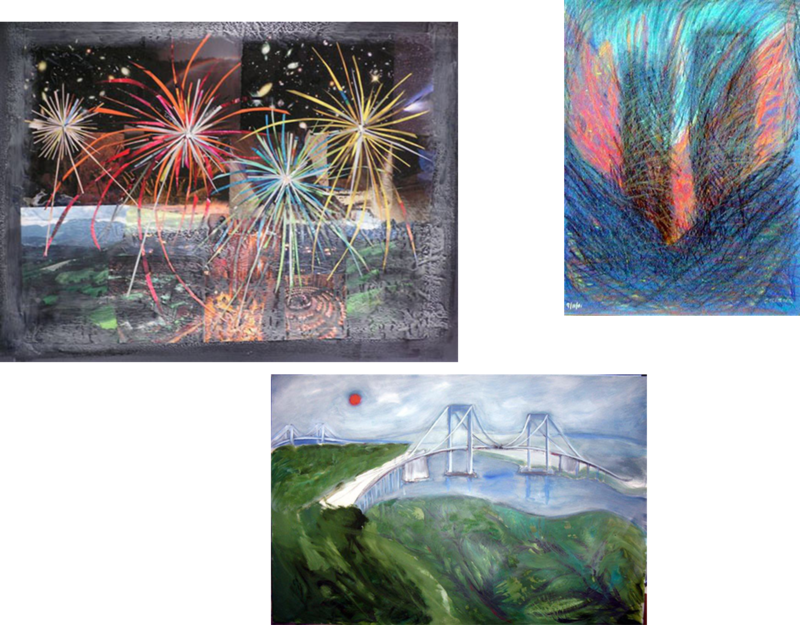 As of eight years ago, I have been producing high-end greeting cards of my paintings, which are often embellished with various components, depending on the order. Because of the price bracket, they are sold wholesale to quality stores throughout the country, as well as to Museum Shops. At present my cards are in the shops at the New Mexico Museum of Art, as they have been for many years, as well as the Minneapolis Institute of Art. 3. Which institutions have played an ongoing role in your work as an artist? There are many institutions that have played an important role in my work. I was inspired to paint when I was 15 years old, at which time I traveled for an hour to study at weekend classes at Parsons School of Design. I then studied at Syracuse University, Crouse College of Fine Art, and from then on, because I lived in New York City, I was fortunate to study with well-known and respected individual teachers and at prestigious Art Schools. The New Mexico Museum of Art Foundation, as well as the prestigious new Albuquerque Cancer Center have requested of my lawyer that I bequest the remainder of my paintings to them. I consider this an honor. 4. At what point should an artist consider getting involved with Artist’s Equity? When I lived in New York, I was a member of the board of Artist’s Equity, an organization that includes thousands of artists. 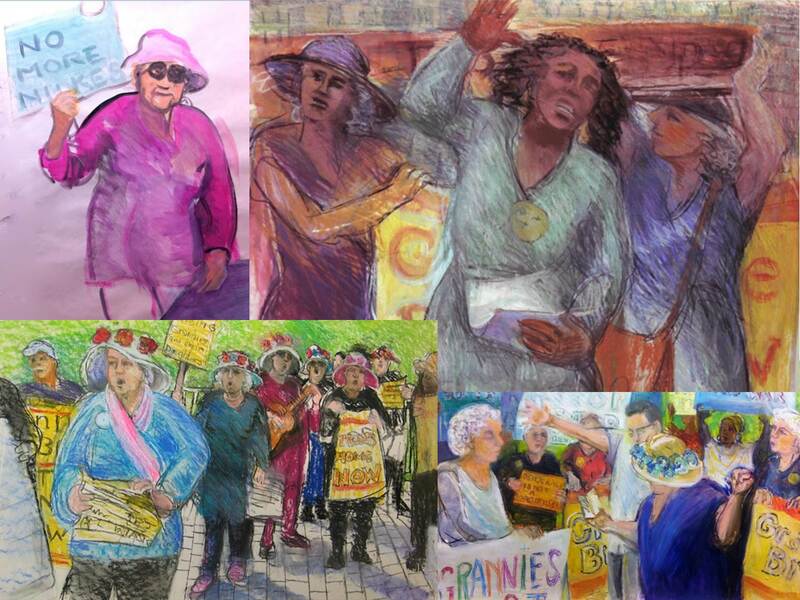 Artists Equity has been an important force in protecting artists’ rights for over forty years. It serves as a resource network and a support group regarding all legalities involved in the business of Art. 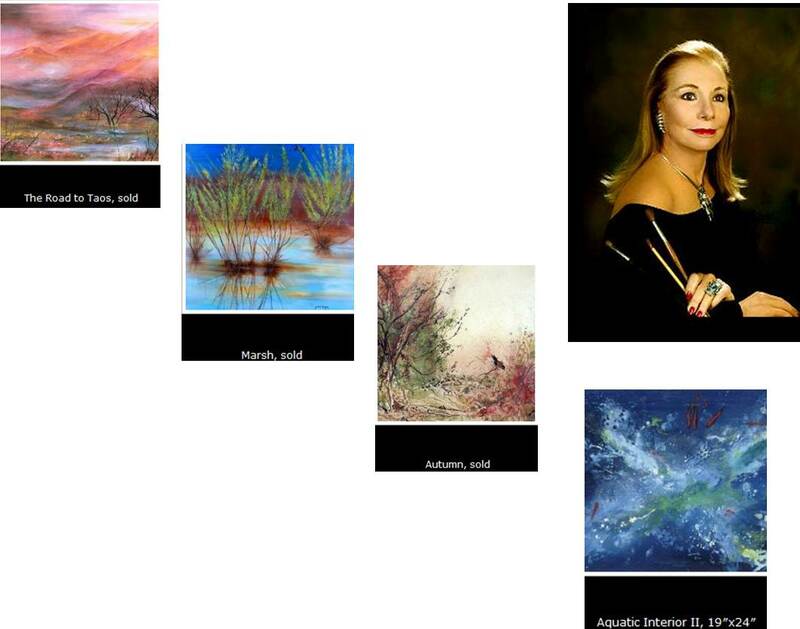 I first became a member when I had exhibited almost thirty paintings in a gallery in Palm Beach, Florida. Two weeks after a very splendid one person opening, the gallery went bankrupt, and according to Florida Law, they were allowed to keep my paintings. I had to buy my paintings back at a percentage, but there were many artists represented by that gallery who could not afford a lawyer, and lost their work to the gallery. There was a law in Florida, as well as in eight other states that if the artist did not sign this Uniform Commercial Code form (which was not shown to us) that the gallery had the right to keep the paintings. There are many unscrupulous gallery owners, as well as owners of other various businesses, and an artist has to read a contract very carefully before signing. I then contacted Artists Equity and because of the injustice of this law in Florida, as well as other states, numerous members went to Washington to protest this law, resulting in banishing this law in Florida as well as the other states involved. Therefore, I recommend that all artists become a member of this important organization, which exists in most states, in order to have their rights protected. I had written a letter which I named ”Artists Beware” which was circulated and published in almost every art magazine and newspaper in the United States as well as Europe. In it I stated that we have to be hard-nosed business people. That is not easy for most artists who themselves are trusting and trustworthy. Judith Kingsley has been represented in galleries throughout the U.S. and Europe, as well as the Hofburg Palace in Vienna, Austria. She’s listed in “Who’s Who in the World”, “Who’s Who in America”, “Who’s Who of American Women”, and “Who’s Who in the South and Southwest”.